Prime Minister John Key will take a pew in his Government’s $15 million seat at Dunedin’s stadium to watch a 2011 Rugby World Cup match. Key’s Government plans to make make full use of the $15m his Government gave Dunedin City Council for the city’s $198m roofed stadium. Today, after a tour of the stadium construction site, Key said he would watch a Rugby World Cup game from a seat at Dunedin’s stadium if it is finished on time. John Key spotted at the new St Clair Beach Resort, and at the Allied Press building. Thanks Twitterfolk. Prime Minister John Key has thrown his support behind the controversial new Forsyth Barr Stadium in Dunedin. Mr Key said the stadium would become “the new house of pain”, and a focal point for the community. Updated post Thu, 5 Feb 2015 at 3:17 p.m.
New use for fubar stadium, ok – joke! . 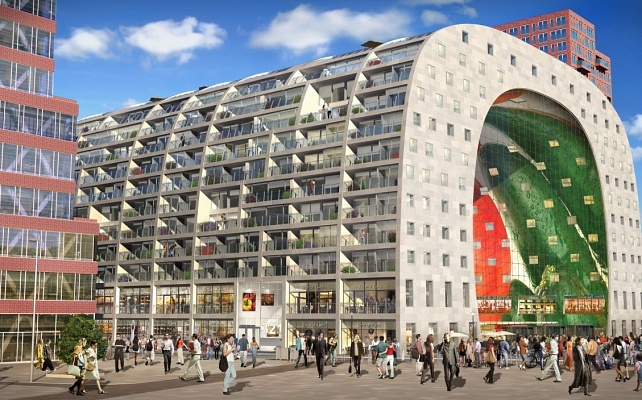 . .
New public market for Rotterdam, Netherlands, sheltered by an arch of 219 apartments in the centre of Rotterdam. 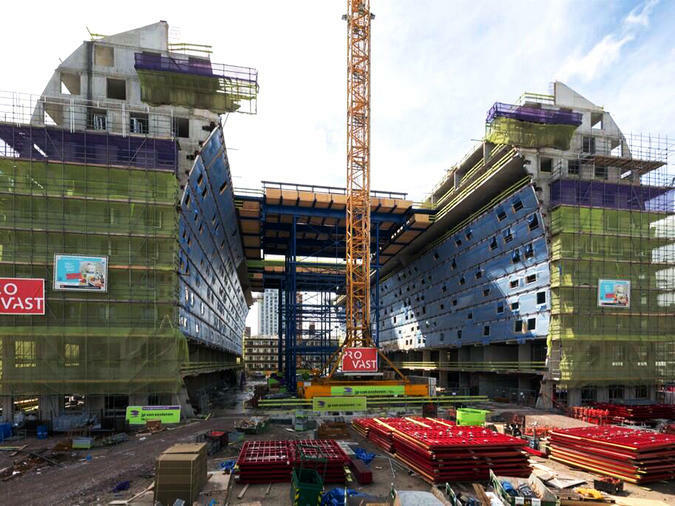 Client is Provast, expected completion in 2014. Building the new Market Hall in Rotterdam is almost completed. The art work on the walls and the ceiling is claimed to be the largest piece of art in the world. Private homes are build in the walls and in the ceiling. 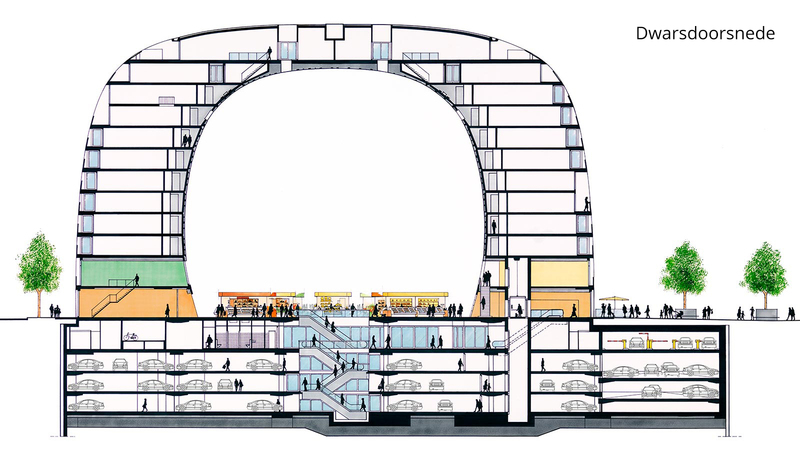 Additionally there are 4 underground levels with shops and car parks. The size of the inner space of the hall is 40 m high, 60 m wide and 120 m long. 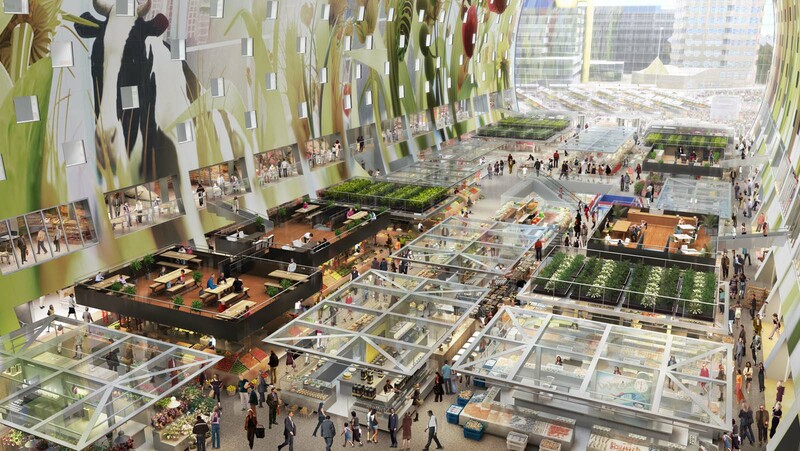 The Market Hall in Rotterdam is now open. 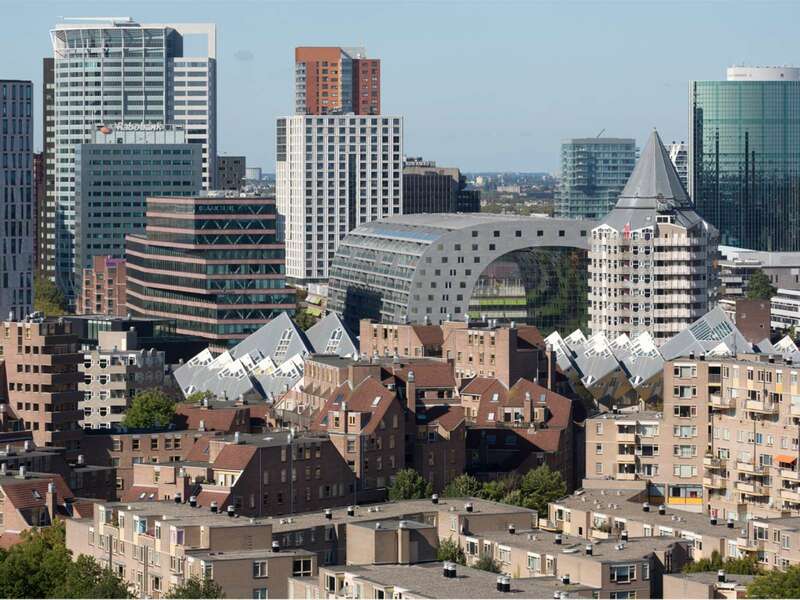 It is design by architect and urban design practice MVRDV. 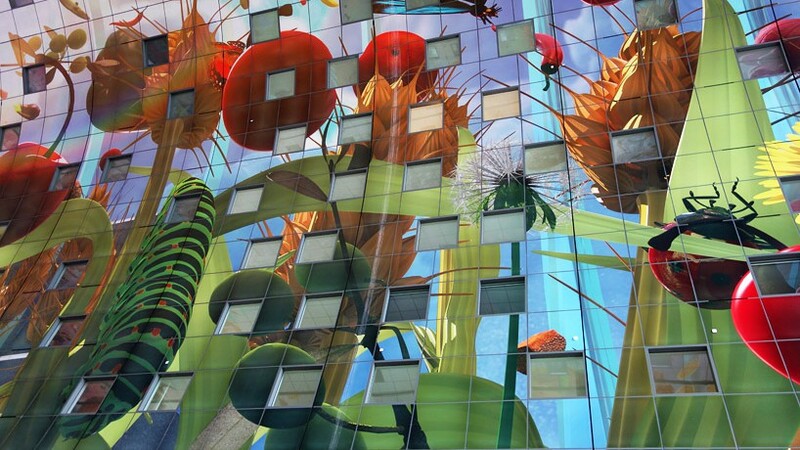 The art work at the ceiling is designed by Arno Coenen and is called Horn of Plenty. 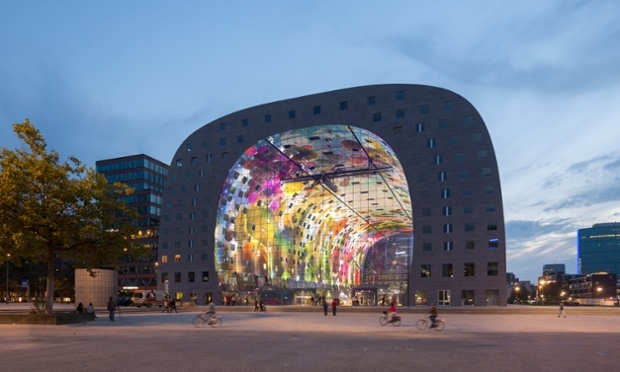 Due to this artwork the Market Hall was nicknamed as the Sistine Chapel of Rotterdam. 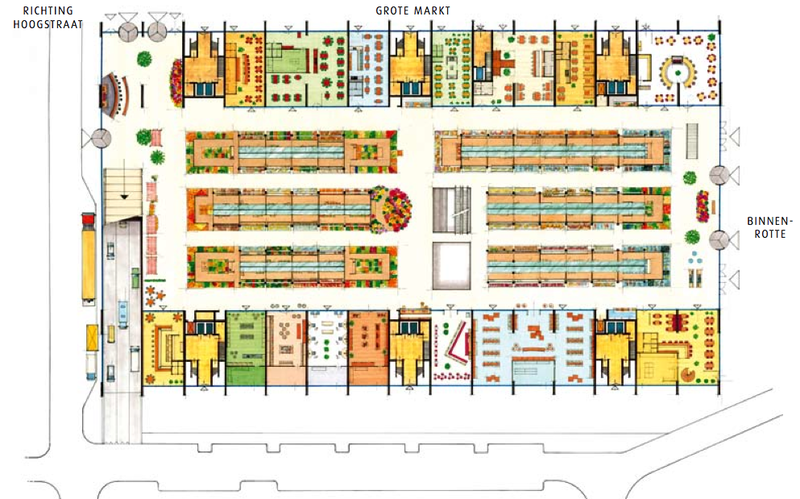 Under the market floor there is also a supermarket (Albert Heijn) and an underground car park of four floors. Visit www.mvrdv.nl for more information about the complex. 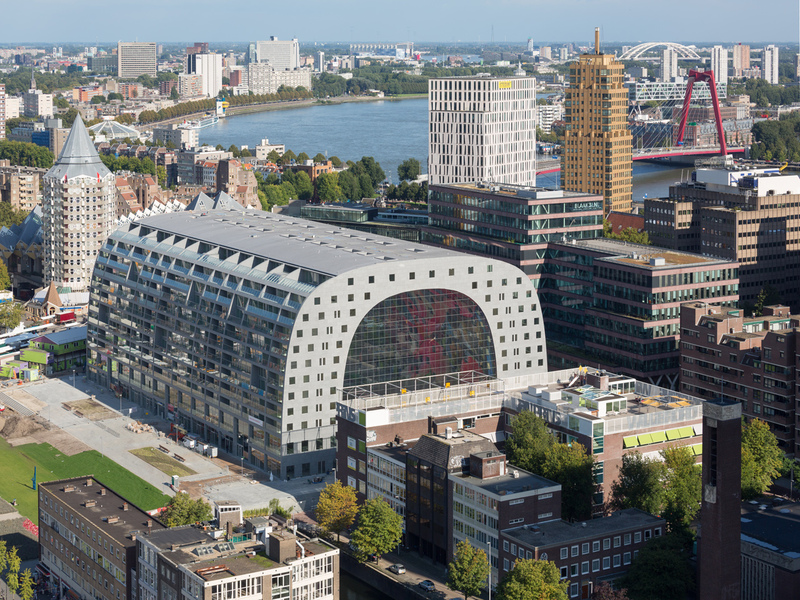 You can also follow MVRDV on Twitter and Facebook : “MVRDV Rotterdam”. In a statement, property services director Barry MacKay said details of the design and budget for the project would not be released until they were approved by the university council and that had not yet happened. However, plans made public last year for an L-shaped building of about 13,400sq m had now been replaced with a rectangular building plan of about 10,000sq m, he said. The Dunedin City Council is still locked in talks with Scenic Circle Hotel chairman Earl Hagaman over land needed for the realignment of State Highway 88 past the Forsyth Barr Stadium, just months before construction is to begin. Council project engineer Evan Matheson said, when contacted, the realignment was expected to cost about $10 million, offset by a confirmed 65% subsidy from the New Zealand Transport Agency. That meant the council’s share would be $3.5 million, while NZTA paid $6.5 million but would take control of the road once completed, he said.